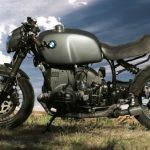 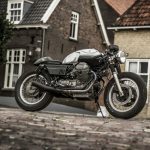 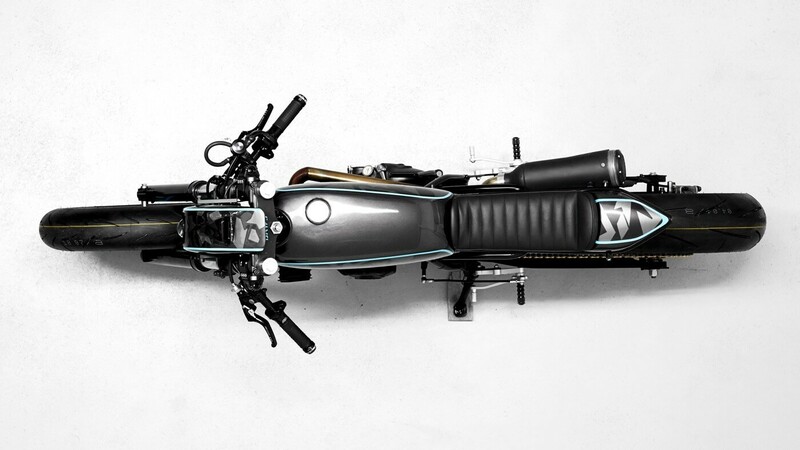 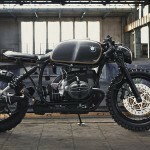 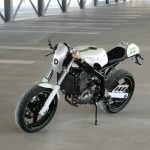 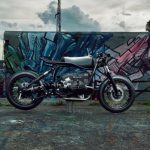 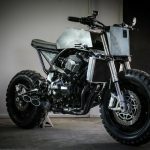 Diamond Atelier is know for their clear vision on custom motorcycles and created some real masterpieces (like this BMW R100R we’ve featured earlier). 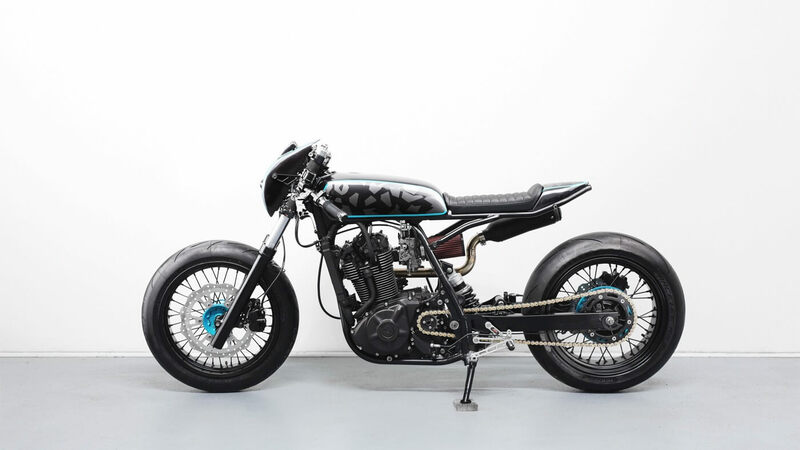 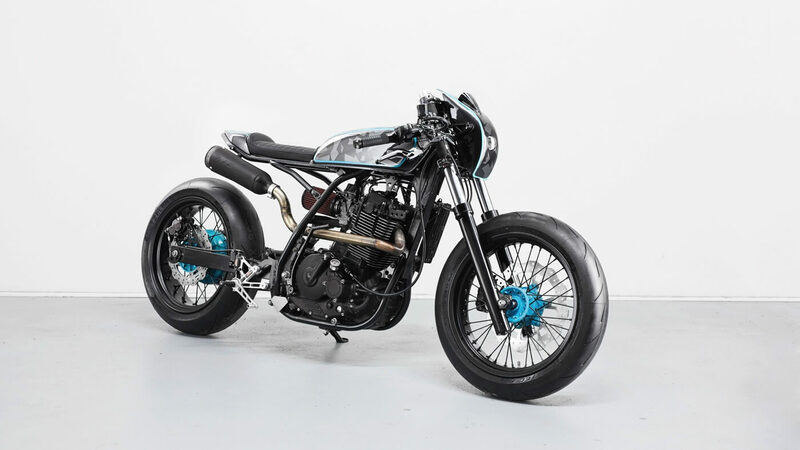 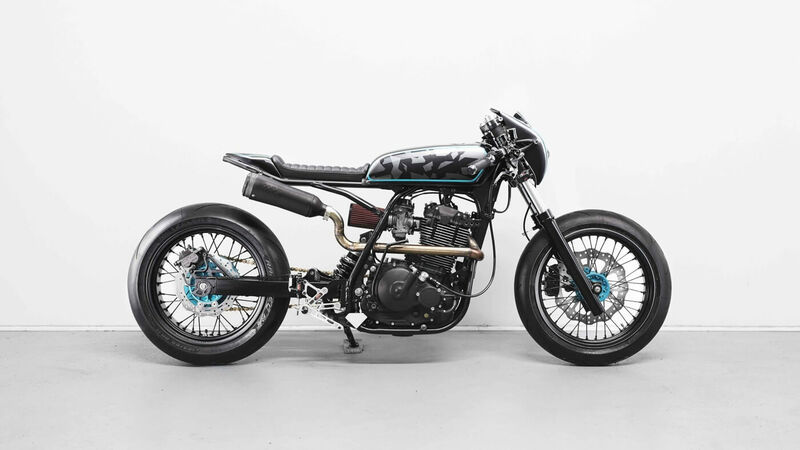 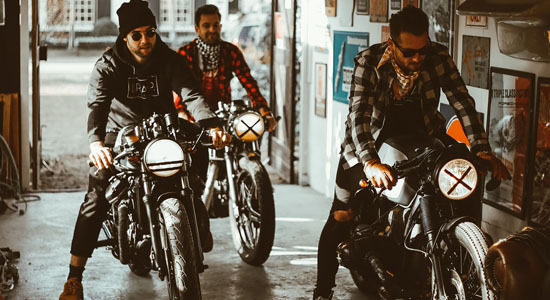 Build number 5 (codename DA5) is based on a ’92 Suzuki DR650, which was the daily ride of co-founder Tom Konecny. 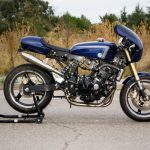 The Suzuki DR650 is a real dirt bike and that makes it not the first pick as a café racer base bike. 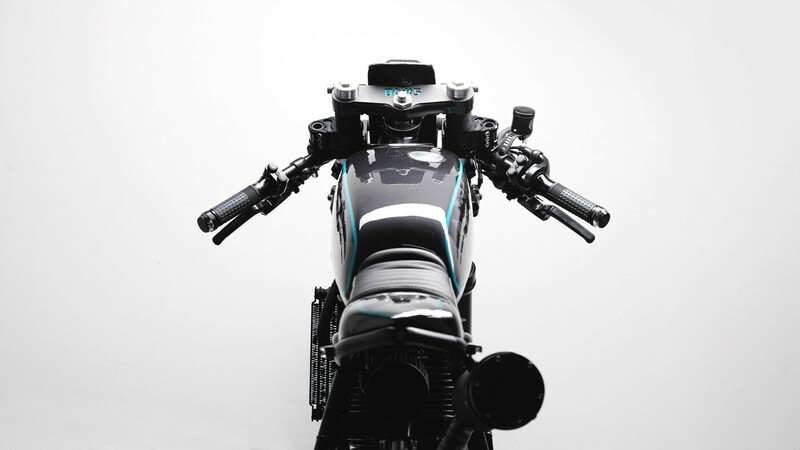 According to the brewers, the DR650 is a bit soul-less, but the big 650cc single cylinder engine has great potential in their eyes. 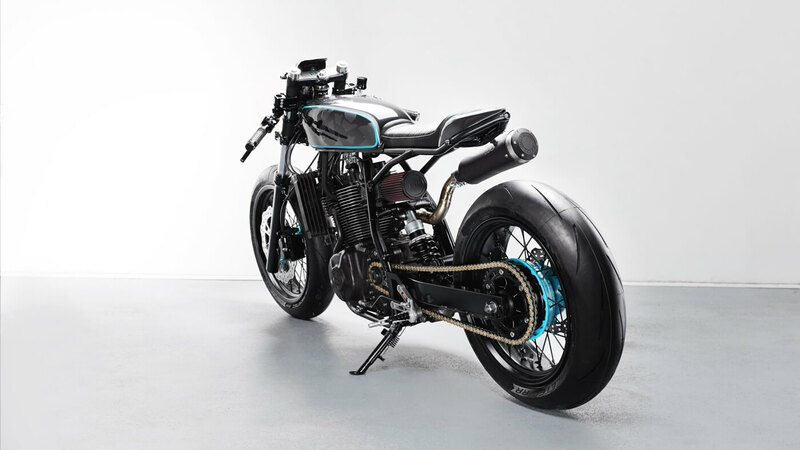 So to begin they stripped the bike down because turning this bike into a DR650 Café Racer is something else! 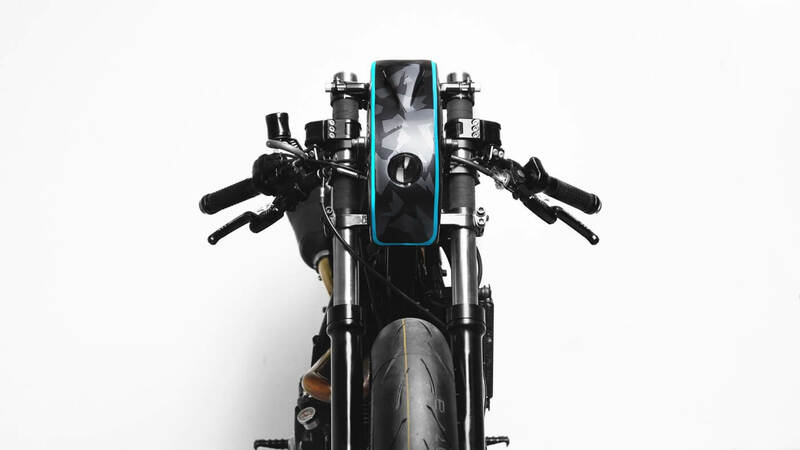 Because the guys from Diamond Atelier like things a bit different, they created a very unique headlight from a plate of steal with a tiny LED in the middle. 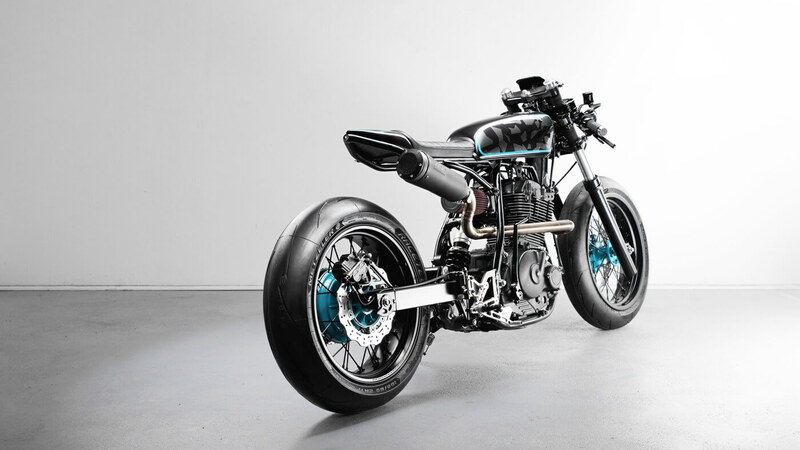 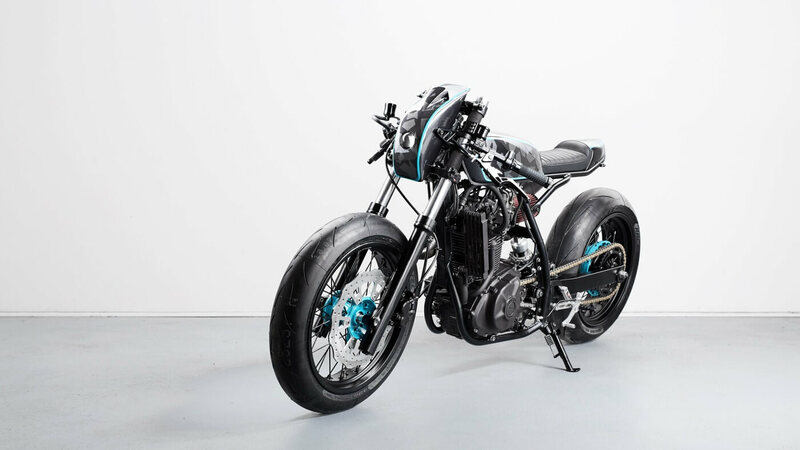 The main goals was to create a super slim and slick urban machine. 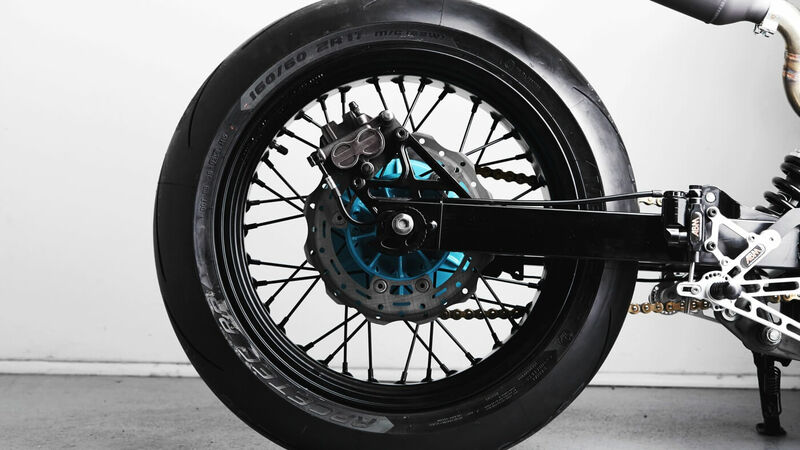 The view from the top shows that they succeeded very well.